Dary created her company, Gus Sloan, and got to work perfecting the brand’s first jumpsuit available to consumers. There were several versions, all tested by friends and altered based on the feedback, before she decided on the final product. Everything from the accentuation of the natural waist to the cuffed hem on the leg to the mid-weight fabric was designed with women’s bodies in mind. 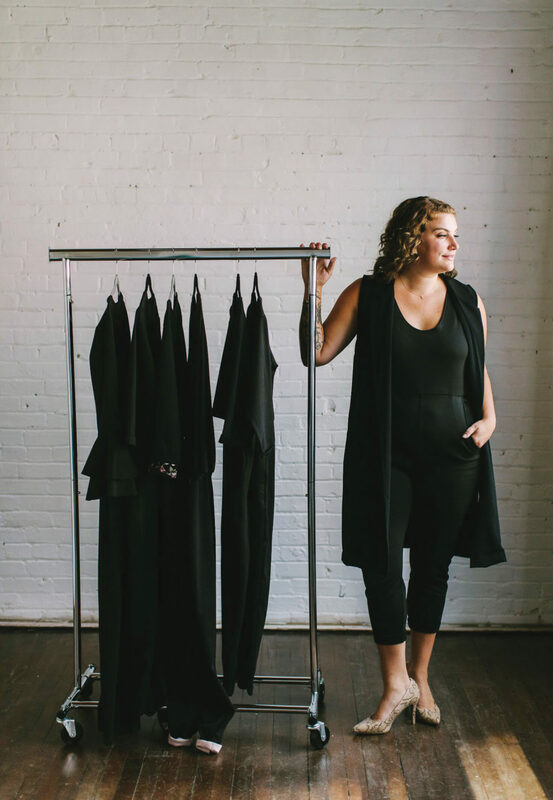 She made 23 jumpsuits on her own, sold them online and at a launch event, and then found local seamsters in Edmonton to help with production of future pieces. “I wanted to try to do everything sustainably, I wanted everything to be made in Edmonton,” says Dary. Gus Sloan intends to release three to four limited edition jumpsuits per year, in addition to the brand’s staple pieces. This article appears in the April 2019 issue of Avenue Edmonton.